The Lost Dogs’ Home will be rolling out the red carpet on Thursday, May 30 for an exclusive evening of cat adoptions at its North Melbourne shelter. Coinciding with the launch of Baz Luhrmann’s highly anticipated film, and adaptation of the classic F. Scott Fitzgerald novel, the Home is raising awareness of the value of adopting a cool cat. 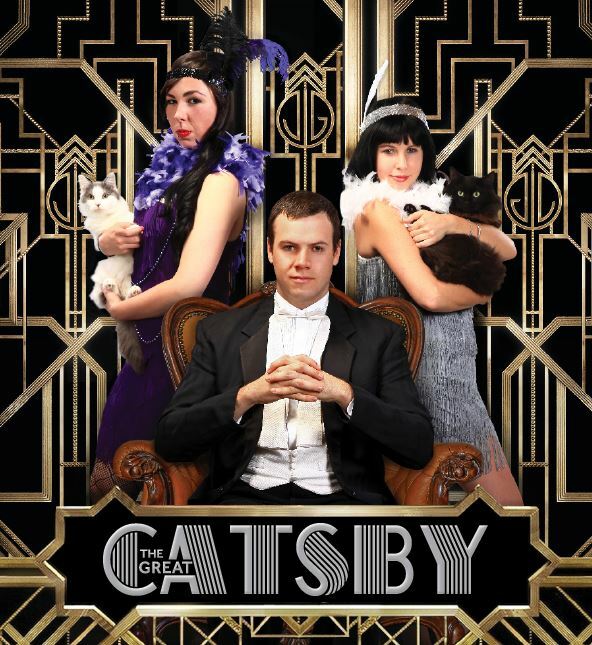 In the theme of a lavish Gatsby party, the Great CATsby adoption evening will be filled with elegant jazz, stylish Art Deco decorations, soft lighting and tasteful refreshments. Roaring 1920’s attired cat attendants will be available throughout the evening to introduce our charming cats to prospective adopters and help with any questions. All adopters on the night will receive a special CATsby adoption price and take home a memento of the evening, including a special CATsby styled photo with their new family member and gift pack. No bookings or appointments are required — however, we are urging all cat lovers and prospective owners to come and adopt a purrfect companion! Please note: Dressing up in the style of the roaring 1920s is encouraged, however, all attire is welcome! We believe our older cats still have all the dashing good looks and lust for life as our younger cats and kittens. To celebrate our older cats we offering discounts based on their age. Special discount price only valid on Thursday, 30 May 2013 from 6pm to 9pm at the North Melbourne shelter.